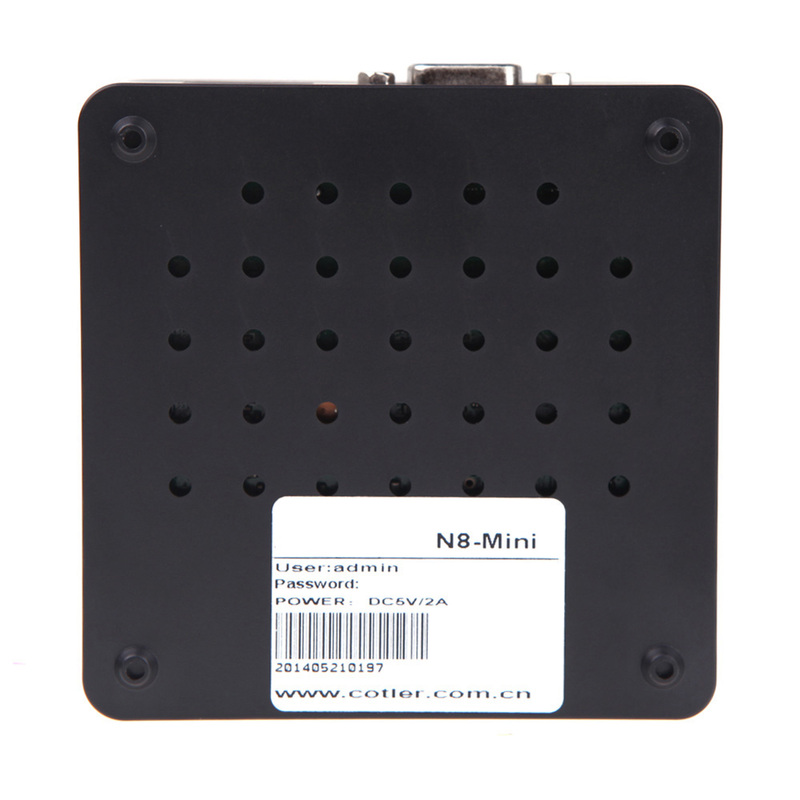 An ultra-small NVR which can record the feed of up to 8 separate IP Cameras. Support P2P cloud service, including cloud monitoring, cloud connecting, cloud transmitting to access IPC and NVR at any anytime anywhere. 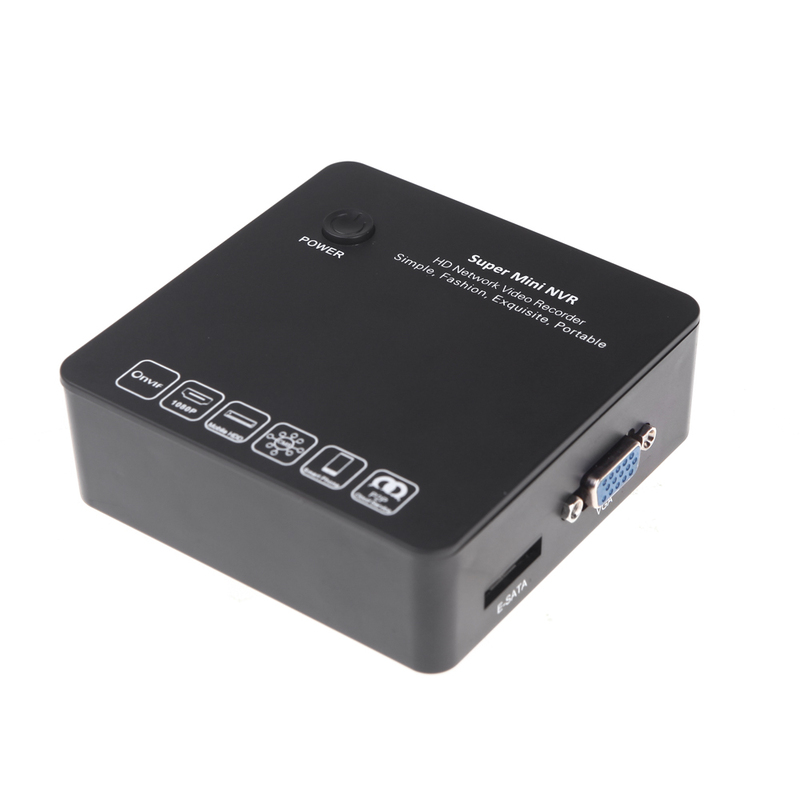 With 3G, WIFI wireless connection functions. 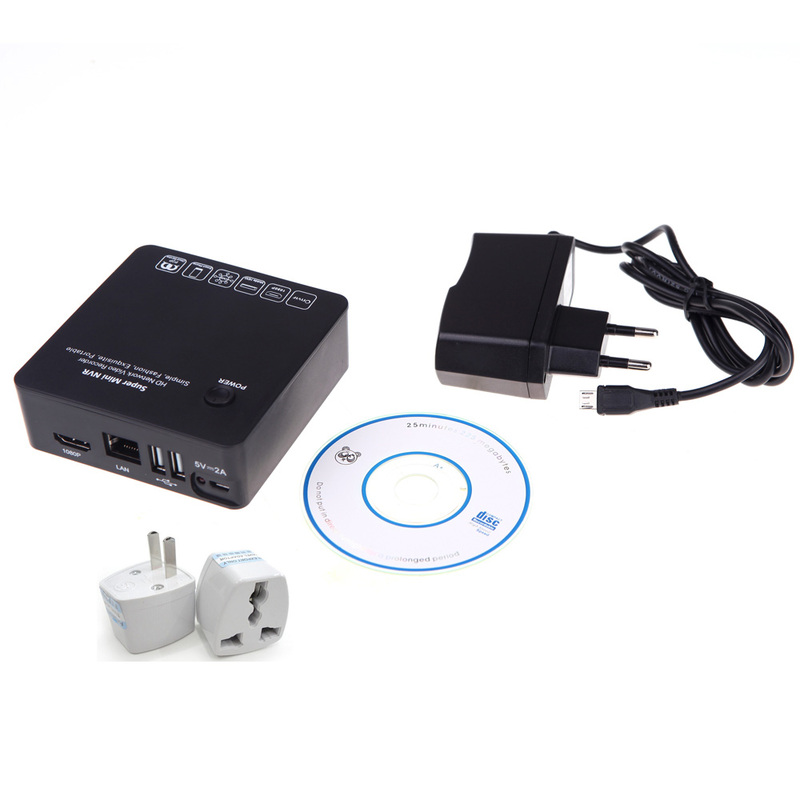 Can connect with IP camera, IP speed dome camera and DVS. 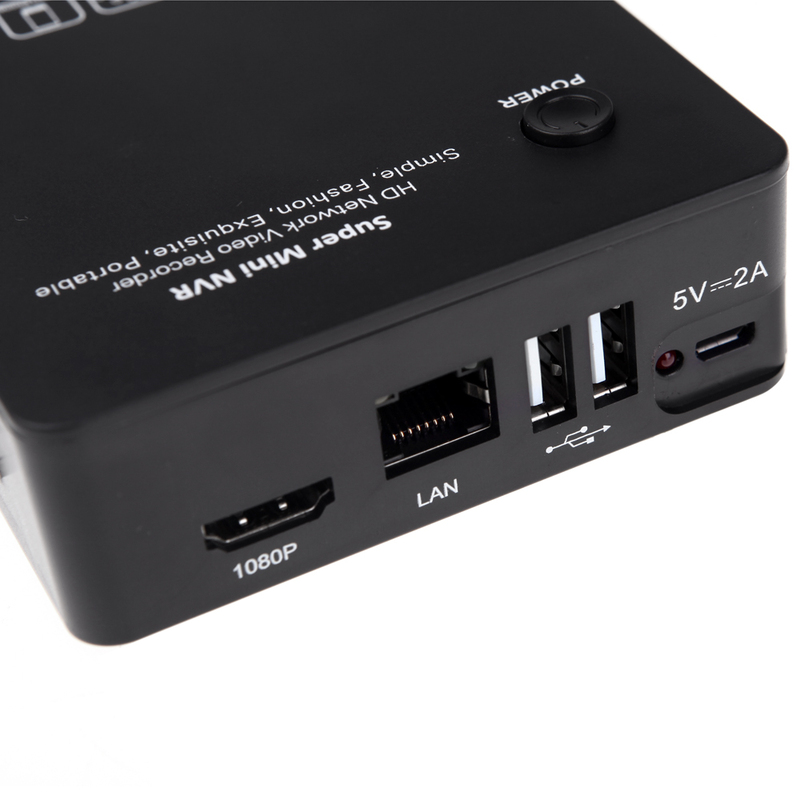 Up to 1080p recording resolution with crystal clear images and can be operated by hooking up a mouse. 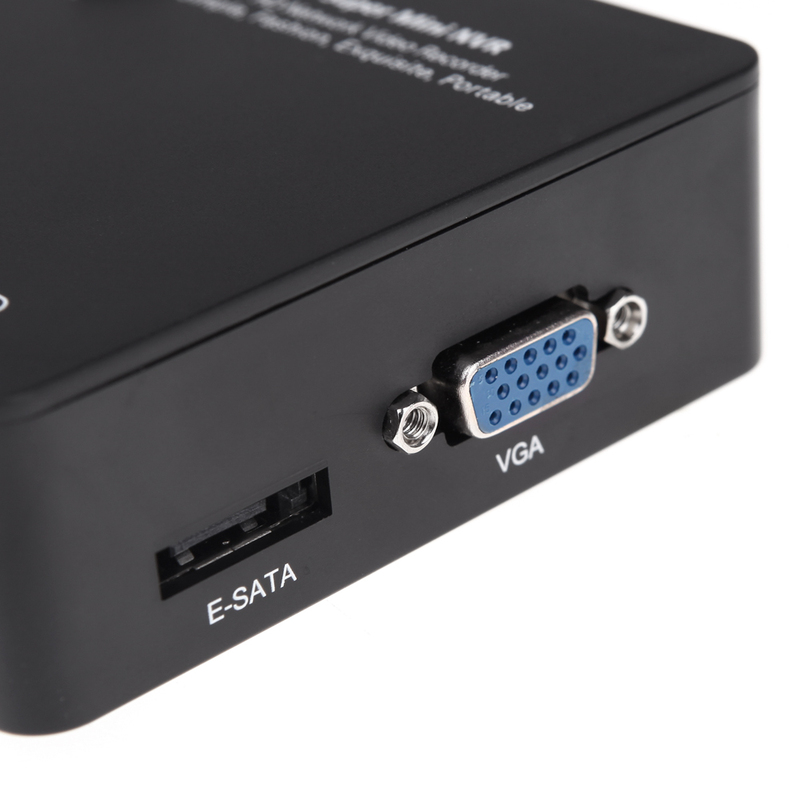 Support megapixel HD network video preview, storage and 8ch playback simultaneously. Immediate snapshot and immediate view; pictures will be stored in an independent area in the HDD ( Not included). Support search, playback and backup by event. Recording backup can be accurate to second. Any time period of backup is available. Compatible with main branded IP cameras for AXIS, SONY, Panasonic, SANYO, BOSCH, SAMSUNG, Honeywell, VIVOTEK, Ambarella, HIKVISION, DAHUA, Histream, Grandstream, TOPSEE, Launch, WISION, HYVISION, WAPA. Working humidity 10? ? 90?